Need the right bulb, filter or belt for the job? Location-Based Lists will show you which product you need for a location and the best way to get it. It’s great for field technicians or anyone who faces the challenge of identifying the right products for their facilities. Setting up a Location-Based List is easy. You can do it on Grainger.com® or use the mobile app. If you haven’t already, DOWNLOAD THE GRAINGER MOBILE APP TODAY! 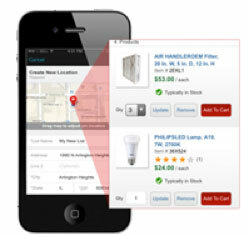 Learn how to get started creating a Location-Based List on Grainger.com.